Happy Weekend! 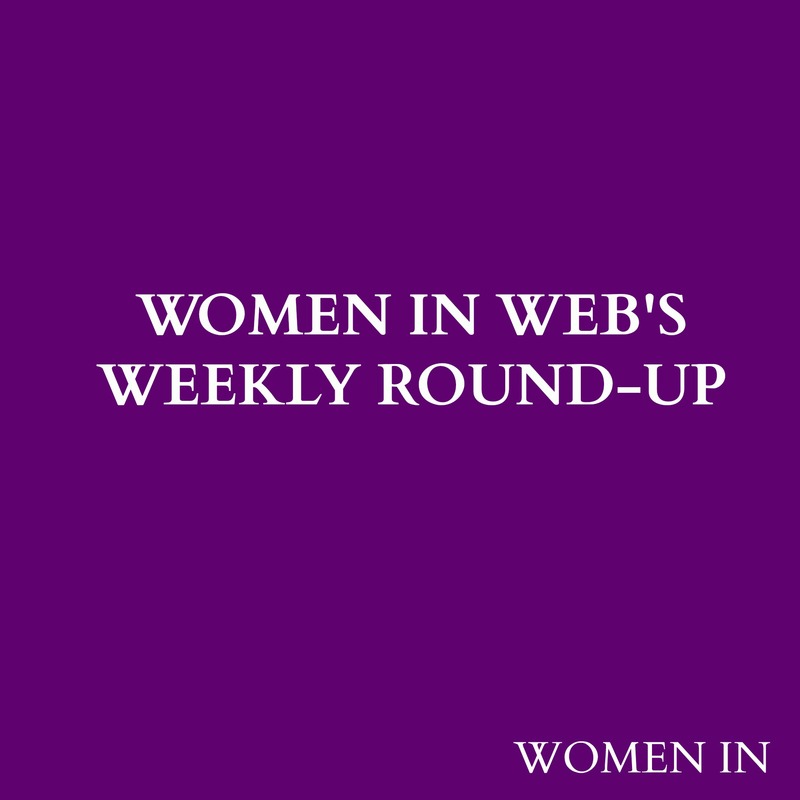 Refresh and recharge this weekend, but also be up to date with our weekly round-up! We featured two great Q&As this week. The first, from Broadcast Ready Editor Kerry Hopkins profiles her time at the BBC and ITV and tells us about Broadcast Ready’s mission to get more women on the news. Check it out here! We also have a fantastic guest post from Theresa Zagnoli who provides her top tips for asking for a raise. If you’re thinking about asking your boss for a raise you do not want to miss this post! Do you have a story that you’d like to share with us? Get in touch and your story could be featured on Women In Web! The #thrive video with Arianna Huffington and Mika Brzezinski that you don’t want to miss! We’d also like to say a BIG CONGRATULATIONS to the amazing Tina Cassidy who completed her first Boston Marathon this week! Tina was running in a team in memory of Martin Richards who tragically lost his life in the Boston Marathon bombing last year. You’re such an inspiration! Kerry Hopkins is the Editor of Broadcast Ready, a one-stop database for journalists to find spokespersons that are good for TV and radio news. 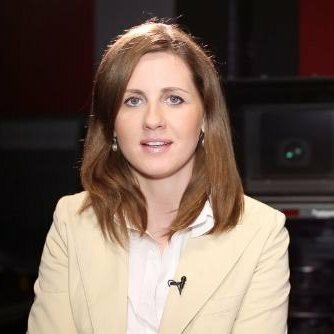 Kerry has sixteen years media experience split between ten years corporate communications and public relations and as an Assistant News Editor at ITN’s ITV News, where she also carried out field producing, Newsnet Editor, Planning and overnight News Editor roles. She also worked as a Broadcast Journalist for the BBC News Channel. Kerry Hopkins is an experienced media trainer at C-suite level with FTSE 250 companies and continues to broadcast media train and coach at Broadcast Ready. Kerry was the Head of Broadcast and Digital at Newgate Communications and also worked in corporate communications at The Walt Disney Company. In PR agencies, her accounts have included Microsoft, Samsung, JP Morgan Asset Management, Investec, Schroders, Cisco, GlaxoSmithKline, adidas, Technogym, Isokinetic Medical Group and the Trading Standards Institute. Tell us about how your journey to where you are today. I have a background in PR/corporate communications and TV newsroom journalism. I completed a postgraduate diploma in TV Journalism at City University London in 2006, and whilst on the course I got a job at ITN’s ITV News because the field producer said she was so impressed with me on a shoot we did in Essex that day. When you’re offered a paid role after a day’s work experience at the broadcaster of your dreams you don’t say no! I’ve also worked at BBC TV News writing the news, and I also headed the broadcast media for Samsung at the London Olympics. The timing of when I left doing that role was perfect as I had a deadline of four months to upgrade my PG Dip to a Masters in TV Journalism. I wrote my dissertation on why aren’t there as many female comedians on TV as there are male comedians. My dissertation found that producers tend to pick the same women for comedy panel shows, for example Dawn French, Jennifer Saunders, Miranda Hart, Jo Brand and Sarah Millican. Many of these women have their own sitcoms or television programmes, and do not necessarily want to appear on panel shows which are often seen as the stepping stone to a comedian’s own show. Because the pool of female comedians stands at about 20%, there aren’t as many individuals to choose from too. I suggested that they develop a strategy such as hiring producers specifically and solely tasked to recruit more female comedians from the circuit. The producer would also plant ideas into female college and university students that a career in comedy is a good one that they could consider. It’s hard for people to aspire to be like someone if they’re not seeing many role models on TV. There was only one comedy TV show at the time that did that. As part of my research I interviewed the commissioners of comedy at the BBC, series producers from the BBC, ITV and Channel 4, psychologists, the managing director of the UK’s largest independent production company for comedy and comedians including Ian Hislop and Zoe Lyons. I put them on the spot and at the same time factual articles on the same subject were published in The Independent and The Guardian, which put pressure on the commissioners to do something about it to stop the negative press their shows were receiving. Two months after I submitted my work, the BBC publicly admitted that they had failed female comedians and were going to do more to rectify the situation. Lis Howell, Director of Broadcasting at City University London shared my views on why there aren’t enough expert women on the news, and used some of my ideas to raise awareness and make a difference with her and Broadcast magazines Expert Women campaign, launched in February 2012. There is still alot more to be achieved, and people think that because it’s being talked about a lot that change is happening and we’re there. We’re not. The numbers of expert women on the news has marginally increased but is still woefully low and this will take many years to reach an acceptable number to give women a voice. It’s more complex than producers aren’t giving women a chance, they are in many cases, it’s that women often let their male colleagues go on the news instead or the company doesn’t ask women to be spokespeople as much. And of course, the fact that there aren’t many expert women on the news so that other woman can be inspired and think: “I’d like to do that too, I can do that, I will do that!” The Expert Women campaign calls on broadcasters to put 30% of women on the news as experts. This campaign for change needs to be sustained over a long period of time or it’ll just be hype and will have minimal improvement. With the voices of females who make up half the population getting louder and louder though on this, change will happen eventually as it can not be ignored. It’s a combination of my work as a TV journalist, a corporate communications professional and the in-depth research I did on female comedians on TV that has opened the door that I built and created myself for the work I am doing now with Broadcast Ready. I left my previous job as Head of Broadcast and Digital to establish Broadcast Ready, and I am determined for it to succeed. I was the natural leader of my group when I was in at school. My father also had his own company employing 60 people so I was brought up learning from him every day. I think good leaders are learning themselves though through their experiences on a daily basis how to be even better leaders. How have you learned from your challenges and successes? I’ve learned every time I fail not to repeat it! Or certainly not more than twice. I also like to push things further so I’ve found that I deliver bigger results than other people in the same team. For example, when I was working at one broadcast media agency I tried to get a spokesperson on TV for a story – in one week I got them 33 television and radio interviews, when others in the team were not getting anywhere near as much. I’ve always had this knack since my very first job! The experience I’ve gained on both sides of the fence in corporate communications and journalism has given me a 360 degree viewpoint so I’m conscious of passing on what I’ve learned onto other members of the team, which at did at that agency and meant the whole team then went on to have a better overall success rate. This gives me a great feeling to help other people and I know they’ve appreciated it as it’s made their lives easier and the business has benefitted. I have greatly appreciated people passing their knowledge and experience onto me to help me. Now I’m at an age where I have to pass on what I know and I feel it’s my duty. Tell us more about Broadcast Ready. Broadcast Ready is a one-stop database for journalists to find spokespersons that are good for TV and radio news. Our site uses key words to help users find the expert they’re looking for. Journalists see a video of the expert, their biography and contact details and know that because they’re on our database that the expert will be of good quality. We also provide a proactive service too and both email and telephone journalists directly about our experts. Journalists find the experts on the database themselves and call them up, and journalists are also told directly by us about experts too. This combinational approach is really working incredibly well in delivering successful on-air results for our experts. All broadcasters have signed up to using it and also many journalists. I’m looking for experts in every field, and particularly want to have women as well as men from the areas of security, intelligence, counter-terrorism, banking, finance, the City, business and aviation and other areas too. In the third month that Broadcast Ready was live, we were personally invited by UNESCO into their global alliance of 500 organisations including broadcasters to support their Women Make the News initiative. We have tickets left for our “How to create the best possible chance of getting your spokespeople on TV and radio news as experts” workshop on the morning of Wednesday 7th May. It’s for PR’s, corporate communications professionals, marketers and experts. We’ll be sharing some statistics and inside information that’s never been revealed to a group of this mix of people before and will greatly benefit them getting their spokespeople on air. Anyone attending whom later signs up to the Broadcast Ready database in 2014 will get a full refund on the ticket price, which is still a low price and great value. We have multi-billion dollar brands on the database, Conservative and Labour party politicians, SME’s, university professors as well as individual experts on the database. What have your highlights and challenges been during your tenure at Broadcast Ready? One of the biggest challenges was setting up the company and online video database! Project managing getting the database correct from a technical standpoint where users can find an expert in 3 seconds flat as well as ensuing the design of the user interface was pleasant, took longer than I expected but was vital to get it right. In terms of highlights, it’s the backing the concept and company has received from editors at ITN, the BBC and Sky. We’re featured on ITN’s intranet. We know many of the journalists we deal with anyway from having worked there ourselves but we did the rounds and met several editors to ascertain and confirm what they needed and we have an on-going supportive relationship with them and their team to deliver what they need. A major highlight was that it was fantastic to see loads of individuals and firms applying to the database on our launch day. I wasn’t expecting that many applications to come flooding in all at one time as we strategically and deliberately only did a trade media launch and twitter launch! We were inundated with applications through the website’s application page and by telephone and email. The range of applications came from companies with hundreds of thousands of employees to individual experts. I invented Broadcast Ready in response to societal, broadcast journalism and company PR division demand, and getting all those applications was the physical evidence that it was the right thing to have done. It’s very exciting to be part of it all. How do you hope that Broadcast Ready will make a difference? Since establishing Broadcast Ready in August 2013, I’ve not been great at maintaining a work/life balance and have only just started to get into one. For six months I worked solidly seven days a week more or less. I had entrepreneur’s burnout! There’s nothing to regret as that’s what was needed at the time and was very addictive because I love the work but that level of work can not be maintained at the top level in the long term so now I ensure that I take time off, so that I can have a life too which will keep Broadcast Ready going in the long term. It also took time to recruit a team too and that means that it is managed well now and strong. Anecdotal evidence from speaking to bosses has shown me that women aren’t as forthcoming as men – many women don’t ask for a pay raise or a promotion at all, and if they do many often do it using emotion rather than logic and this isn’t the same successful approach that men use. Even though women produce amazing results, they don’t, on average, ask for things they want or need like men do, as men on average feel more self worth and entitlement to get promoted and move closer towards earning what they believe they’re worth. I think it also depends who the boss is. I’ve seen examples of a leader who is female and then the next layer down of employees are all male. There are of course also the challenges surrounding women who want to have families. Women shouldn’t fear that their career will go downhill in deciding whether to have a baby or not as the right employer will support them when they return. I’ve heard that some women are even better bosses once they’ve had children. I remember working at one firm and they even promoted her whilst she was on maternity leave and so she came back to a more senior position, how amazing is that? Another big firm had a crèche on its premises to offer employees with young children and babies. It’s a gift to be able to call on people for advice and I have always found nearly all men willing to help and the majority of women. I always try to give something back for the advice I have received, and good advice helps your personal life, as a solution in your professional life then doesn’t impact upon your own time. I admire Deborah Turness, the former editor of ITV News, and now the President of NBC News. She was always very charming and nice, and stood her ground in a respectable inspiring manner whilst involving her team in discussions. She never passed on bad energy despite a stressful job. I also admired Margaret Thatcher. Which words sum up where you have got to today?